The most frequently questions asked about Hussain ibn Ali, the stand he took and the relevance to our lives today. He is the grandson of Prophet Muhammad and the son of Imam Ali andthe Prophets beloved daughter Fatima Zahra . He is the 3rd divinely appointed Imam who was martyred along with his family and supporters in the desert of Karbala. 2.Does the Holy Quran mention Imam Hussain? In this verse Ahl ul Bayt (as) refers to the Prophet Muhammad, Imam Ali, Fatima Zahra, Imam Hassan and Imam Hussain (Peace be upon them all). This verse was revealed about Imam Hussain (as) who was born from a six month pregnancy term. Yahya, John the Baptist, (as) was born from a six month pregnancy term as well, but he was martyred before reaching the age of 40. 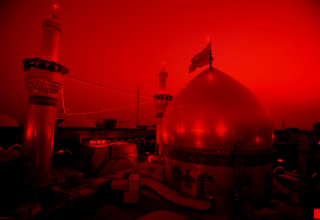 3.What has the Prophet (s) said about Imam Hussain ? 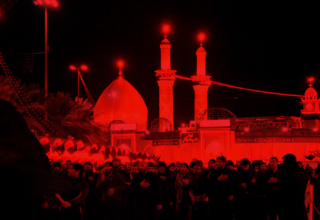 4.How did Imam Hussain die? 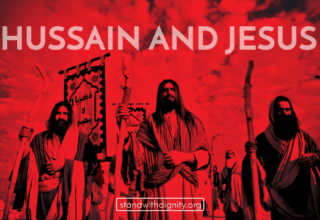 He was brutally martyred along with many of his family members and his loyal supporters in the desert of Karbala, Iraq. He died without having food or water for three consecutive days, his body was trampled by horses, his head was cut off and placed on a spear, his families tents were burned, his women were beaten and made captives along with his son Imam Sajjad and they were forced to march through the hot desert in chains at a fast pace to the city of Damascus. 5.Why was Imam Hussain killed? It baffles the mind at how one could murder the grandson of their own prophet, but when we look into history of mankind as narrated through the Quran we will see that many of the communities of the past even murdered their own prophets! When you examine the life of Yazid you will see there was nothing Islamic about him at all. He was the embodiment of vice and corruption. We can see the same traits in the terrorists of today (ISIS, Al-Qaeda, Taliban, etc) who emulate their forefathers like Yazid who kill indiscriminately and have a total disregard for religious principles. Yazid wanted Imam Hussain to pledge allegiance to him and accept his corrupt rule, which will give legitimacy to his own position. Of course, Imam Hussain (as) refused to accept this corruption and he stood with dignity to guide the Islamic nation back to the ethics and way of his grandfather Prophet Muhammad. Was Imam Hussain small group going up against 30,000 soldiers be considered suicide? Imam Hussain did not intend to fight anyone. He was on his way to Kufa upon the invitation of the people there who wanted his help and guidance. He was stopped on his way by Yazids army. He offered to turn around and go back, but he was not allowed to leave. He was cornered and was forced into defending himself after Yazids army launched an offensive attack on him and his family. 7.Did the Shia kill Imam Hussainas other groups claimed? The people of Kufa turned their backs on Imam Hussain (as) when he was outnumbered and sold their religion for political and financial gain. They didn’t invite Imam Hussain (as) to Kufa based on the fact that he was the Imam divinely appointed by Allah to guide them. Rather, they only wanted him to come because they thought he would be a better ruler than the corrupt ruler they currently had. They did not have conviction of his Imamate so they were not his true shia. What is the benefit of mourning Imam Hussain when this event happened so long ago? Mourning Imam Hussain reminds us of the suffering that he and his family went through in order to preserve this religion from corruption. Commemorating these holy days by partaking in the sacred mourning rituals revives inside of us the love for Imam Hussain, causes us to remember what he stood for and is a renewal of our allegiance to the cause of Imam Hussain. When we look at the narrations we will see that the heavens and earth, the angels, the jinn and even the animals all wept for Imam Hussain! 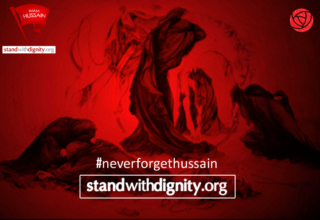 9.Was Imam Hussain a revolutionary? Revolution by definition means to up rise and go against the ruler by force and Imam Hussain (as) did not rise up with the sword against Yazid (la). 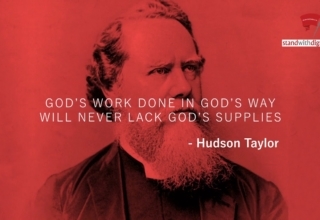 This can be proven by the fact that when he was stopped on his way to Kufa by Yazids army he offered to turn around and go back, but he was not allowed to leave instead he was forced into protecting himself and his family. If he was planning to up rise against the Caliph he would have been the one wanting to be the aggressor and attack first, but as history shows us clearly that he was not the first to strike. Another point is, why would the Imam bring his wives and small children with him if he was planning a military revolution? This shows clearly that Imam Hussain (as) was not planning to revolt and fight against Yazid (la), but rather just answering the call of the people of Kufafor him to come and guide them in their affairs. Thus, we should not call the event of Ashura a revolution rather Imam Hussain (as) was striving to do islah: reform and repair the community of his grandfather (s). The ones who revolted were the ones who went against who Allah and his messenger (s) appointed us to follow on the day of Ghadir. It is demeaning to the Imam to compare this great tragedy, that the inhabitants of the heavens and the earth wept for and what Allah terms in surah Saffat of the Quran as the great sacrifice to the social-political revolutions of today. It was Imam Hussains (as) right given to him by Allah to govern the entire universe, but Yazid (la) usurped this position from him. The people of Kufa were begging him and sent so many letters inviting him to come and rule them. They gravitated towards him because the example of the Imam is similar to the Kaaba. The Kaaba doesn’t go to the people rather the people are drawn towards the Kaaba, the same is to be said in regards to the Imam. When the people invited him he was fulfilling his duty that Allah has given him and therefore he went there to serve the people of Kufa. 10.How did Imam Hussain save the religion by his martyrdom in Karbala? Imam Hussain stood for everything pure and right whereas Yazid stood for everything evil and corrupt. By Imam Hussain refusal to submit to Yazid’s request for allegiance he showed the world that we must not sacrifice truth for any cost even if it is at the stake of our own lives. His death shocked the Islamic world and woke them up from a slumber to show them how far they had gotten away from the path of truth that even the prophet’s grandson was slain by the so called Islamic government.